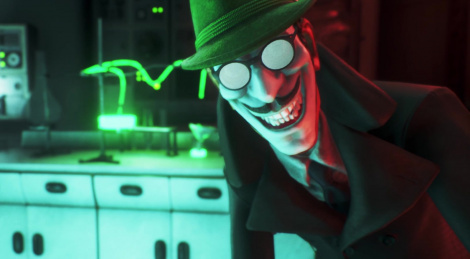 The new trailer of We Happy Few gives you the basics of happiness accord to Welling Wells and its drug-addled citizens. Some new screens too that depic the three playable characters: Arthur the British everyman from this alternative '60s England, Sally the village's sparkling It-Girl and Olly the brash Scottish soldier. The game launches August 10th. 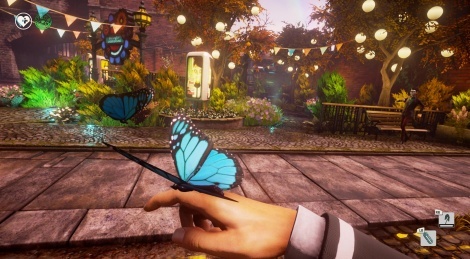 We Happy Few must have changed quite a lot since its last update in August 2017, but with its final release approaching, we felt like going for a walk in the first area of the game, to be able to spot the differences with the final build even more easily in a couple of months. Your joy pills treatment will not start in April as Complusion Games announced the team needs more time to polish the game which is "content complete". 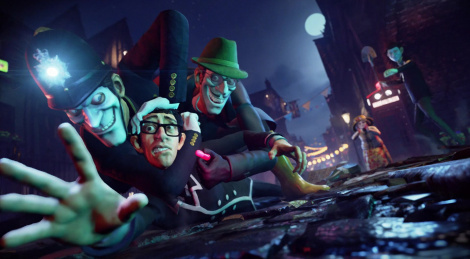 We Happy Few will now release during Summer 2018. Jump inside for more details from the Creative Director and COO plus a story teaser and a couple of screenshots revealing Sally, the second playable character. 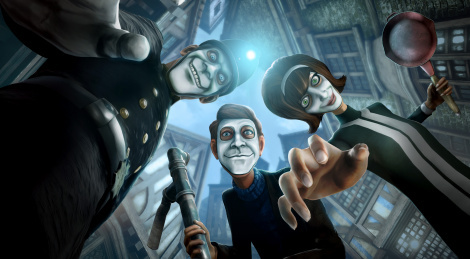 The promising title We Happy Few from Compulsion Games announced back in early 2015 will release on PC, PS4 and Xbox One on April 13th 2018 and also at retail (with a Collector's Set available too) thanks to a partnership with Gearbox Publishing. 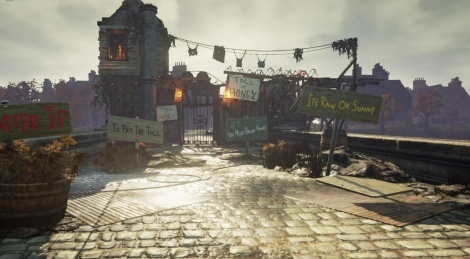 The title features a full-length story campaign with three different characters. Owners of the Early Access/Game Preview version will get the full game at no extra cost obviously. And for those early adopters, a new update entitled "Life in Technicolour" is available. Take a joy pill and jump inside for more details, new screens and trailers. 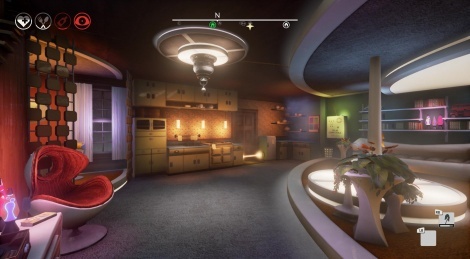 Compulsion Games has released the second major update for We Happy Few, the studio's paranoid survival adventure game currently in early access. 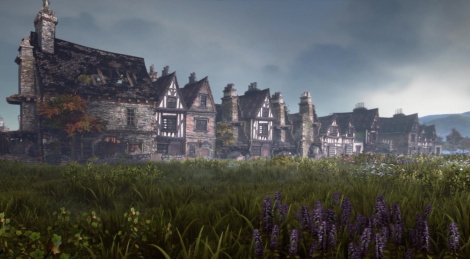 The content, avaialble now on GOG and Steam and later on Xbox One, bring new Maidenholm a new village island and 3 playstyles, allowing you to adjust the overall difficulty. More details about it and the other improvements with the patch note here and inside with the new gameplay video. 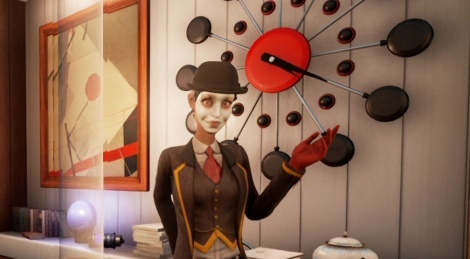 Compulsion Games has delivered a Clockwork Update for We Happy Few, the studio's upcoming game currently in early access on Steam, GOG and Xbox One. The update introduces several optimizations among which a visual overhaul of the Hamlyn village, a new tutorial level and improved conversations/quests. All the details with the video inside. 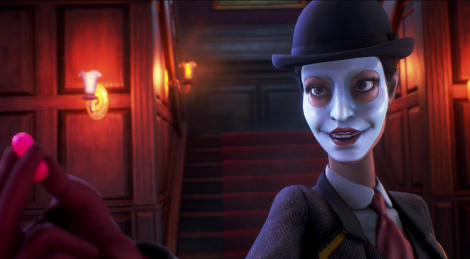 After some PC videos , We Happy Few is coming today on Gamersyde in its Xbox One version. You will discover a game with a lower framerate and of course with fewer details on the screen. We let you discover it through these two videos. 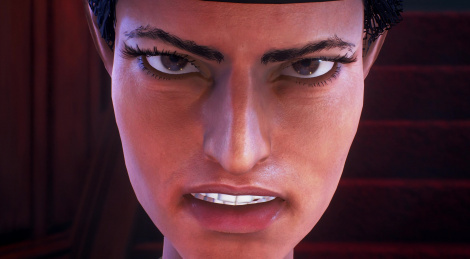 We Happy Few has also hit Early Access on PC and Xbox One, so here are a few videos from the PC version. Unfortunately, we haven't had much time to play the game yet, so don't expect to see much here. The point was to share with you the very beginning of what is actually a story-driven rogue-like. If you don't mind French, we also have the replay of our livestream inside, but we discovered the game as we played, therefore didn't show anything in particular. Because of the summer vacation, you'll have to wait a few weeks until we can share more with you.